Abandon yourself to the spell of six short stories filled with thrills and dark suspense. 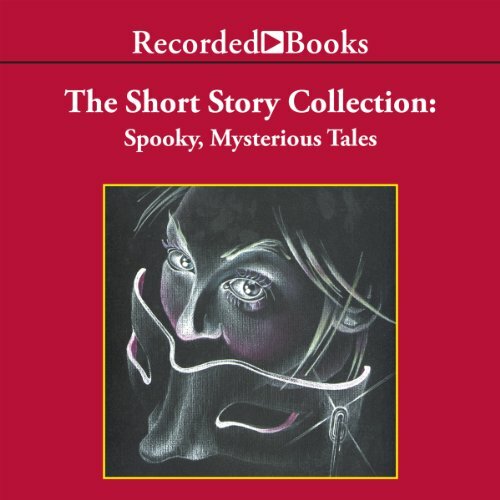 Here are tales by the masters of mystery and horror - A. Conan Doyle, Edgar Allan Poe, Saki, Oscar Wilde and Ambrose Bierce - taking on a new energy and force through performances by Recorded Books’ critically-acclaimed narrators. Ranging from dungeons to drawing rooms, and peopled with extraordinary ghouls and doomed dowagers, the tales are guaranteed to raise the hair on the back of your neck. Our unabridged audioproduction may not be your first encounter with these stories, but the power of the narrations will make it a memorable one. Great stories if you are into the genre. The readings, in particular, "The Tell-Tale Heart," could have been more forceful. If you really want to hear that Poe classic done right, go find Terrence Mann's performance of it on "Selected Shorts." Truly Fantastic. It's easy to find; the title of the episode it was on is "The Heart of the Matter." You won't be disappointed. Of this collection, my favorite, too, was "The Canterville Ghost." Imagine sitting around the campfire trading spooky stories with Ambrose Bierce, Oscar Wilde, Edgar Allen Poe, Sir Arthur Conan Doyle and Saki. you can't get much better than that. My favorite was The Canterville Ghost by Oscar Wilde about a haunted house where the residence scared the ghost because the new owners were American and Americans had different attitudes about ghosts. So the ghost tried to enhance his haunting by shaking chains and using ketchup. Of course all the stories are great. Classic stories performed very well. One of my favorite genres and this collection did not disappoint. Someone with patience for a a really heavy British accent in a monotone. No Poe story should ever be read by someone who cannot emote the fear and passion inherent in his stories. The only truly enjoyable ones came from Richard Farrone, who does a great job with the Beating Heart. So, I'm sure if he had done them all, it would've been great. Found this okay, a couple of stories worth listening too but overall found it a bit boring and kept losing the plot a bit! Easy to be distracted and had to keep skipping back! Some of the dark tales are better than others but there's not a dud amongst them. Could probably have done with a few more thrown in.